StaySafe’s lone working app enables you to protect and monitor your employees’ whilst they work, travel or meet with clients alone or in remote locations. 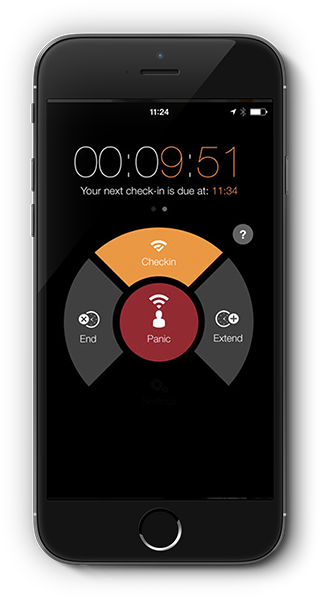 The intuitive safety app monitors the location of lone workers in real-time and allows them to check-in safely once they have finished a lone working or travel session. The StaySafe app has been designed for a simple user experience, which means it is quick, easy-to-use and fits effortlessly into the working day. As the app is installed on your employees’ smart device, it is generally always with them, charged and there is less user resistance compared to a separate lone worker device. With no capital outlay for hardware, our lone working app can be up and running in less than 24 hours, with minimal upfront investment. Employees are able to start a timed session before they begin a period of lone work or travel. This triggers a countdown and GPS tracking which is visible in the Hub. If an employee fails to end their session safely, a session expiry alert will be sent to the monitor. The panic button allows an employee to send an immediate panic alert if they are in trouble and need assistance. This alert can be triggered in the app at any time, even if a session is not running. If an employee is being forced by an attacker to terminate the app, a 'false pin' can be entered to appear as if the session has been cancelled when in fact a panic alarm will be triggered. Low battery warnings allow you to remind an employee to charge their phone if it is running low. Employees can set fixed check-in periods within a session. Employees are able to check-in at any point within this time to confirm that they are safe and reset the clock. Failure to do so by the end of the timed period will raise a missed check-in. A panic alert can also be triggered discreetly using the phone's power button, allowing an alert to be raised discreetly from the user's pocket or handbag. If an employee has not moved for a prolonged period of time and not checked-in, a non-movement alert is triggered in case there has been an accident. Lone workers are prompted to check-in or end their session to reduce false alerts. The StaySafe app is linked to a secure cloud-based monitoring Hub which accurately locates your lone workers on a map and provides you with real-time updates on their movements. If one of your employees fails to check-in safely during a lone working session or raises an alert, a notification will pop up on screen as well as via SMS text and email, allowing you to locate them and get help straight away. The hub also keeps an accurate log and allows you to report on previous lone worker sessions and alerts. You can access the cloud-based StaySafe Hub from anywhere via your PC, tablet or phone and view exact employee locations and safety status on an interactive map. If an employee triggers an alert or fails to check in notifications are sent on-screen and via text and email allowing you to respond immediately. You can set up Alert Management Procedures within the Hub to provide all monitors with a single written procedure to follow. Anyone monitoring your lone workers will know how to respond in the event of an alert being triggered. The reporting section of the Hub allows access to all historically tracked sessions. The monitor has full visibility of all the locations visited as well as any alerts that have been triggered. You can also view how often your employees are using the app and how many alerts each individual has raised. The StaySafe Hub includes an optional notes feature. Staff responsible for resolving alerts can add a note to any alert that is triggered. The note section provides the opportunity to add comments to a specific tracked session on how the alert was resolved. Notes are saved within the reporting section so there is always an audit trail to refer back to. The reporting section of the Hub allows you to see how many sessions have been run by each employee and how many alerts have been triggered over a chosen time period. This allows you to monitor how often employees are using the app and if they are using it correctly. Depending on the size of your team and resources, you can choose to monitor activity in the Hub in-house or outsource to one of our professional 24/7 monitoring and response partners. You can also combine both options to structure a bespoke service that meets your needs. Monitoring your employees in house via the StaySafe Hub is easy, low cost and eliminates the need for paper trails and routine check-in calls. The flexibility of the Hub allows you to decide how you manage your employees and alert responses. We also work alongside professional monitoring partners to offer round the clock monitoring and response services for lone worker emergencies. Available 24/7, external monitoring is a great solution for those with minimal in-house resources, larger organisations or those who operate out of hours such as through the night. 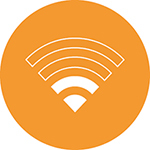 Data is the first connection the StaySafe app attempts to make, but in areas where a signal cannot be located, low signal mode is automatically activated. While in low signal mode, session communications will continue to be sent to the hub via 2G SMS. Alerts and session functions will continue to operate as usual, with location data updating if an alert is triggered. Data is the first connection the StaySafe app will attempt to make, whether this be through WiFi, 4G/3G or even GRPS and Edge. 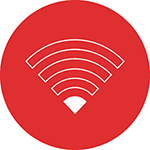 If you or your lone workers operate in areas where a Wi-Fi or data connection cannot always be made, the StaySafe app will automatically switch to Low Signal Mode. While in this mode, session functions and alerts will continue to be sent to the Hub via a 2G signal. The users last known location will be shown in the Hub and updated when an alert is triggered. If your employees work in well populated, urban areas, it is very likely that they will be able to make a data connection. 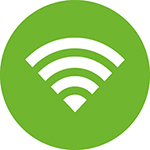 If, however, they work in rural areas with low levels of signal, or in buildings known to have poor data coverage, low signal mode is a vital method of communication. StaySafe is BS8484* accredited, giving you peace of mind that you are protecting your employees with a high-quality solution that meets stringent safety standards.